Time for heat loving plants! Hotsy Totsy! 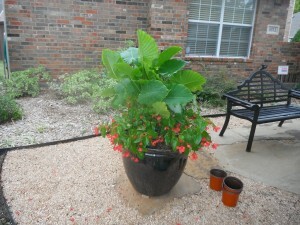 Okay, okay, we’ve had mild weather, plenty of rain — now it’s time to get to the business of a HOT TEXAS SUMMER and the plants that thrive in Texas Heat. When nighttime temps stay above 80, it’s time to pull out all the stops and select plants that are Texas Tuff and with small watering requirements morning and night! Garden Centers are a great source of new varieties of plants available, and we look for plants to give us the most bang for our buck and clients buck! Below is a list of our favorites, tested and true performers year after year. 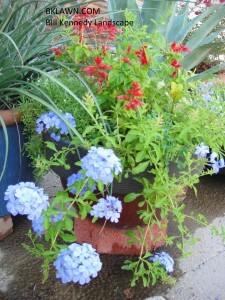 Offering beautiful color displays in years both wet and dry. 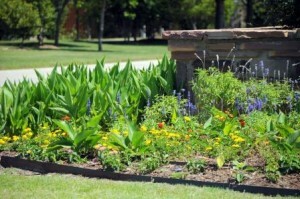 Remember most flowers will need at least some supplemental irrigation.